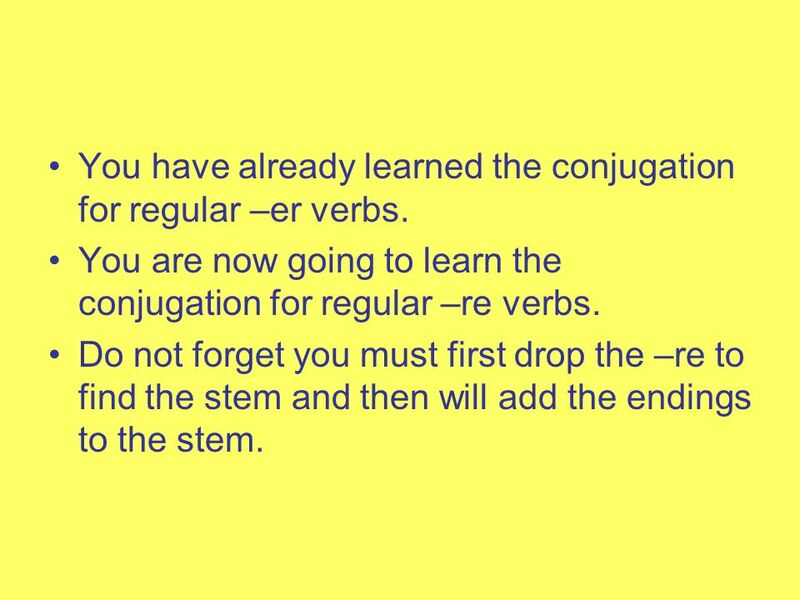 2 You have already learned the conjugation for regular –er verbs. 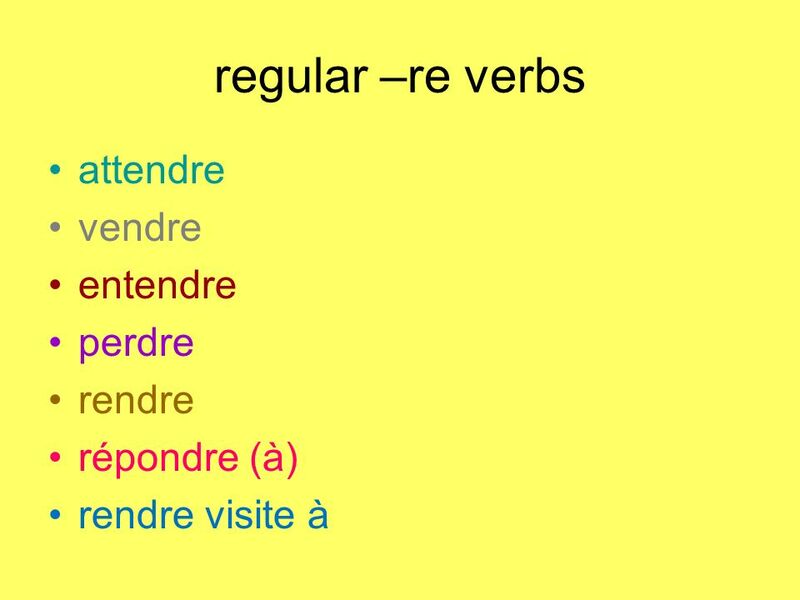 You are now going to learn the conjugation for regular –re verbs. Do not forget you must first drop the –re to find the stem and then will add the endings to the stem. 5 Notice the il, elle, and on forms do not add anything to the stem. 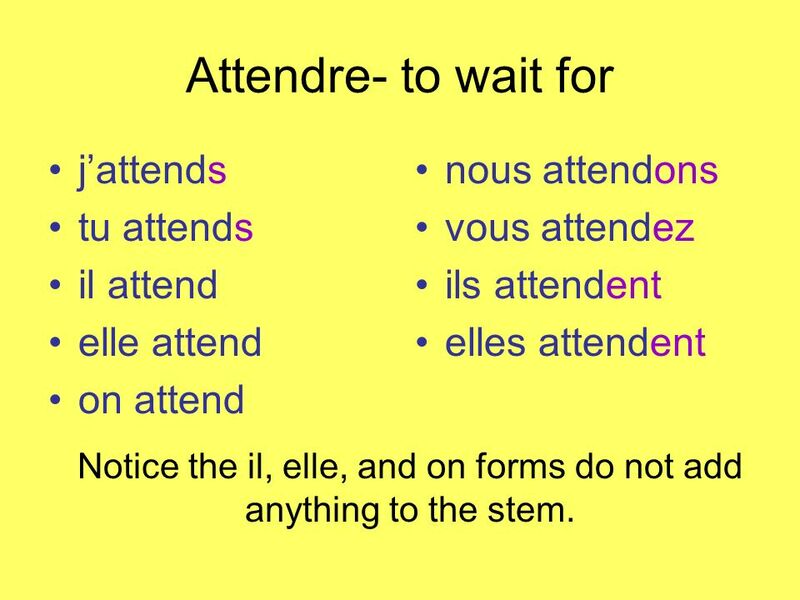 Attendre- to wait for j’attends tu attends il attend elle attend on attend nous attendons vous attendez ils attendent elles attendent Notice the il, elle, and on forms do not add anything to the stem. 6 I am waiting for my friend. J’attends mon ami. The students are answering questions. 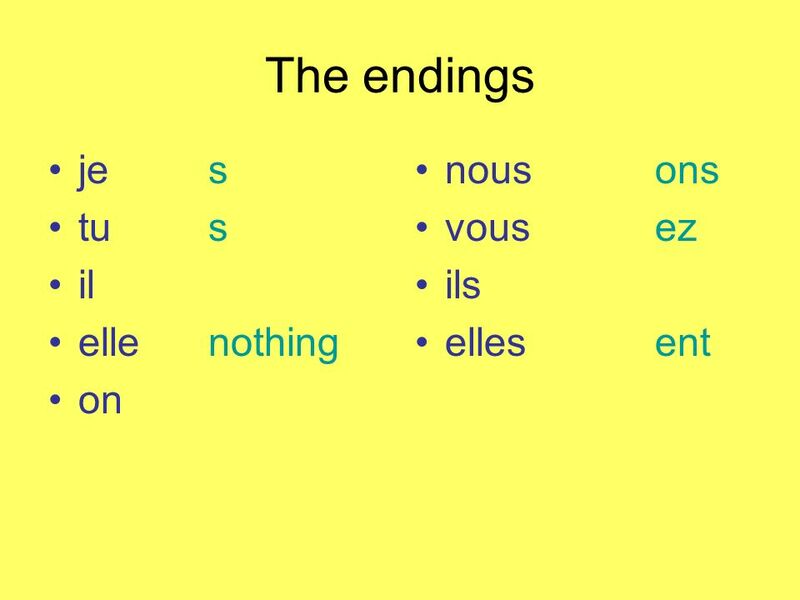 Les élèves répondent aux questions. My mother is not selling her car. 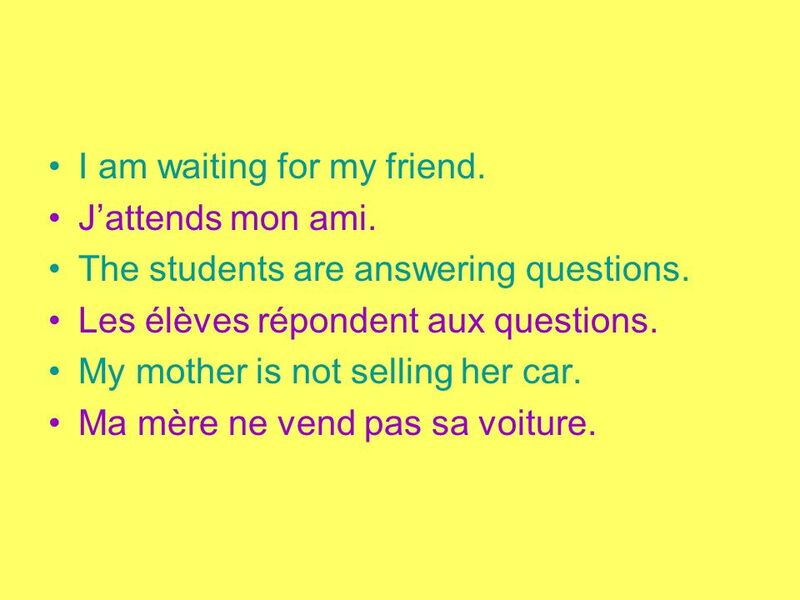 Ma mère ne vend pas sa voiture. 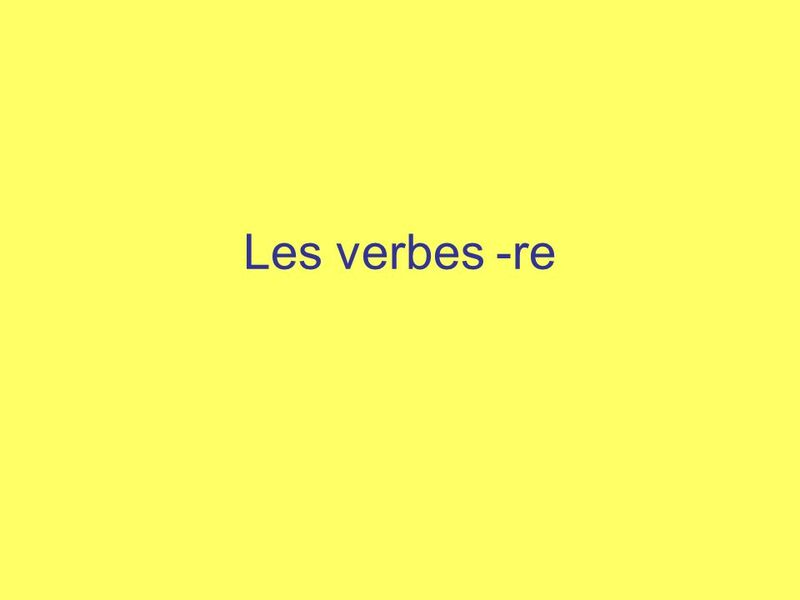 Télécharger ppt "Les verbes -re."